Eeek! This is new territory for me - yellow nail polish. To be honest, I bought this purely out of curiosity. 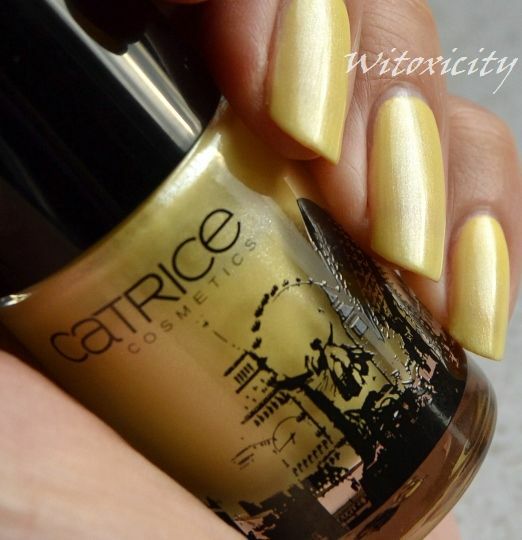 The Catrice London nail polish belongs to the Catrice Big City Life Collection. As mentioned before, four cities were represented in this collection: Sydney, Berlin, London and New York. For each city, there is an eyeshadow palette and a nail polish. You've seen the eyeshadow palette from The Berlin Collection which, in my opinion, had the best combination of eyeshadow shades out of the four palettes. I didn't think the one from The London Collection was that great and that, I believe, is also the general consensus. Stocks of the eyeshadow palette from The London Collection didn't move as swiftly as the others. 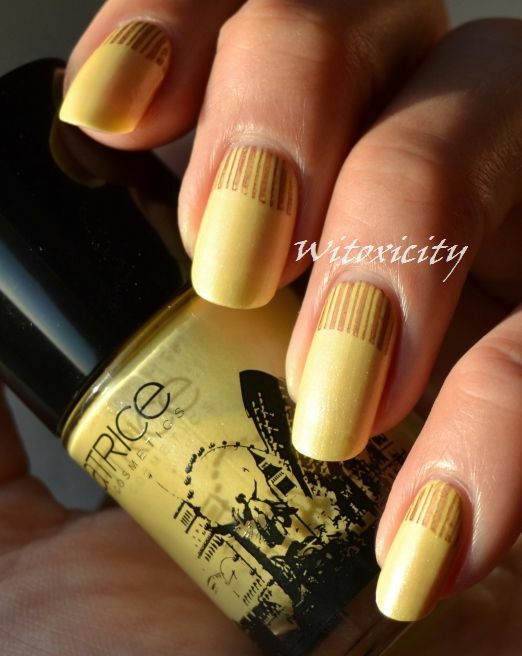 The London nail polish is simply a pale yellow with fine shimmers. You would no doubt have noticed the various famous landmarks depicted on the bottle. Just for fun, I added a barcode-like stamping design. I used a old brown KONAD stamping polish and KONAD plate M44 which has stamping designs for french tips. I decided to stamp it on the cuticle side of the nails. That shade looks super pretty on u! Very clean and not streaky for a yellow! really pretty! Yellow is also a new territory for me! But I've just decided that tomorrow I will try yellow! This is the perfect yellow! So sweet. I can't wait to go nailpolish shopping and buy similar colors to what you have on your blog. You can call em copy cat then, lol! It's really a color we don't see everywhere else and I love it! 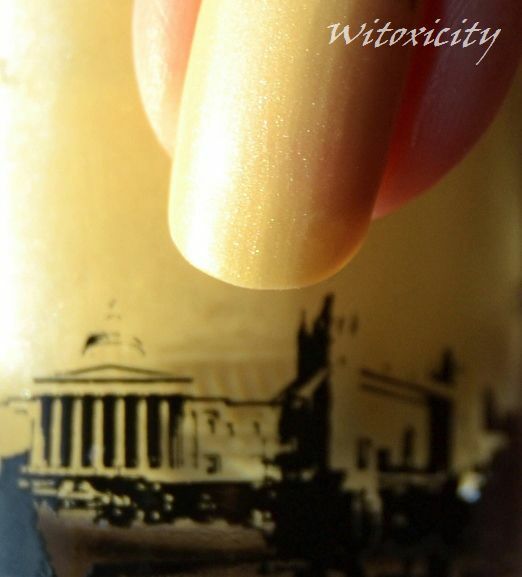 I am not a big fan of yellow nailpolish, but this one is quite nice (or maybe it's because of your beautiful nails or pretty photos). 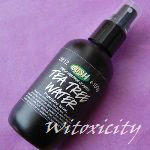 Maybe in summer season, it's surely refreshing. The bottle is very unique, I like the print on it. And the bottle with famous landmarks print is very COOL!